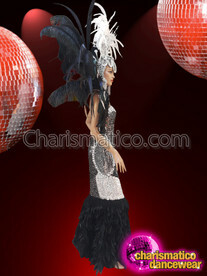 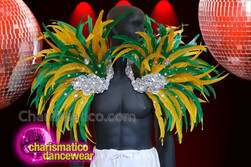 Out of the Carnival in Rio comes the latest trend – the Patchwork Feathered Costume. 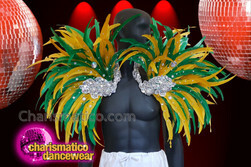 This particular version us understated in yellow and black feathers and accented in natural colored bead work. 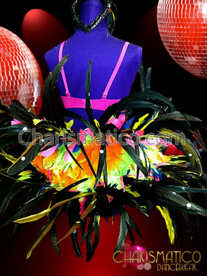 Lovely for the street fair or stage alike.